Howard Street in Evanston. The area has recently experienced economic revitalizations as new businesses have popped up along the street. 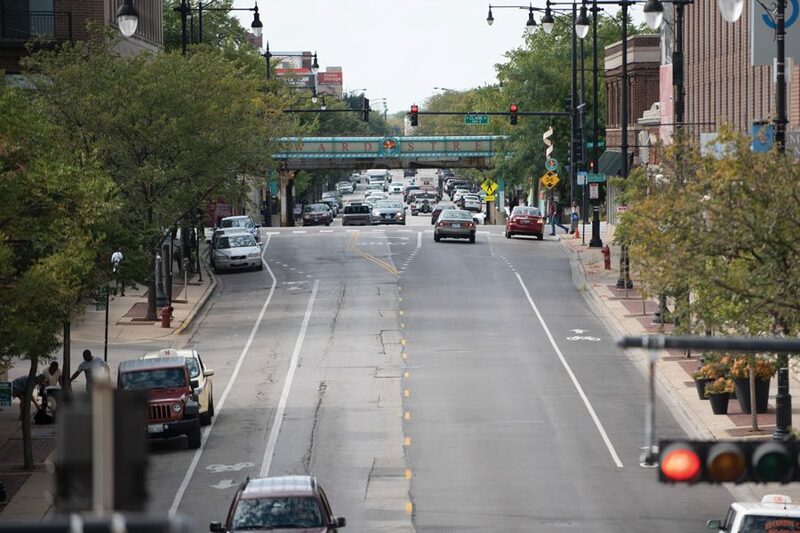 The revitalization of Howard Street is coming to fruition, and business owners and community members urge students and Evanston residents to check it out. Good to Go Jamaican Cuisine, Hip Circle Empowerment Center and Cafe Coralee are just a handful of the businesses that popped up on the street in the last year. The city has been working to bring businesses to the area for several years, but the project has recently gained momentum. Lenice Levy, the co-owner of Good to Go, emphasized how excited she is about her business’s new location on Howard Street. Levy first opened her restaurant in Chicago in 2003, but decided in April to move it to Evanston. She said the process was “daunting,” but the result was definitely worth it. Levy said she is “elated” about being on Howard Street. She described the energy as “exciting, motivating and inspiring” and said she has watched the street come to life. The larger space, Levy said, allows them to put on events such as comedy shows, live reggae music and parties. She added that their menu has something for “anyone with an appetite.” She said they fit in with the other cultural spaces on Howard Street such as Hip Circle Empowerment Center and the future Howard Street Theater, which was approved for construction in February. Political science Prof. Elizabeth Shakman Hurd said Howard Street is a great place for Northwestern students to visit. She also sits on the board of the Hip Circle Empowerment Center. Hurd said Hip Circle is a minority- and women-run business that aims to provide exercise, dance, fitness and community building activities to women and girls from different socioeconomic statuses. She said they opened their doors on Howard Street a couple of weeks ago. Ald. Ann Rainey (8th) has led the change to revitalize Howard street, which is in her ward. Hurd said Howard Street is very accessible for Northwestern students via the El or bus, and she encouraged students to make the trek. She spoke about a history of segregation in Chicago and Evanston, saying students need to learn about that history and Northwestern’s role in it. Students can also support businesses farther from campus and the lake, she added.